Greater skin support with our Nutri-dermal™ capsule, revitalising and moisturizing skin from the inside out. Pollution, lifestyle and diet can affect skin in many ways. Perfectil Skin has been formulated with a special Nutri-dermal capsule for even greater skin support. 1Percentage Daily Values are based on a 2000 calorie diet. ONE TABLET (BLUE BLISTER) PER DAY, PLUS ONE CAPSULE (TURQUOISE BLISTER) PER DAY. Why has Perfectil Skin been developed? Perfectil Skin is an European patent protected formula developed for those who want to maintain the health of their hair† and nails†, but have a particular interest in maintaining their skin health and wish to give this aspect extra support. Perfectil Skin contains the original No. 1 Perfectil triple active formula plus Nutri-Dermal™ capsule with extra biotin which contributes to the maintenance of normal skin. The Nutri-Dermal™ capsule also provides Lutein, Co-enzyme Q10 Lycopene extract, plus essential Omega-3 fatty acids from fish oil and Omega-6 fatty acids from Starflower and Blackcurrant Seed Oil. How does Perfectil Skin differ from Perfectil Original? Perfectil Skin contains the original Perfectil tablet PLUS a Nutri-Dermal™ biotin capsule with specialist ingredients including Omega 3 & 6 fatty acids, Lutein Esters, Starflower Oil, Blackcurrant Seed Oil, Lycopene, Co-enzyme Q10, plus additional Biotin. Who should use Perfectil Skin? Perfectil Skin is recommended for those who want to focus on the health of their skin whilst also maintaining overall hair and nail health. Perfectil Skin replaces your daily multivitamin and mineral supplement, and can be used for as long as required. Can Perfectil Skin be used during pregnancy and breast-feeding? Can Perfectil Skin be taken simultaneously with medicines? 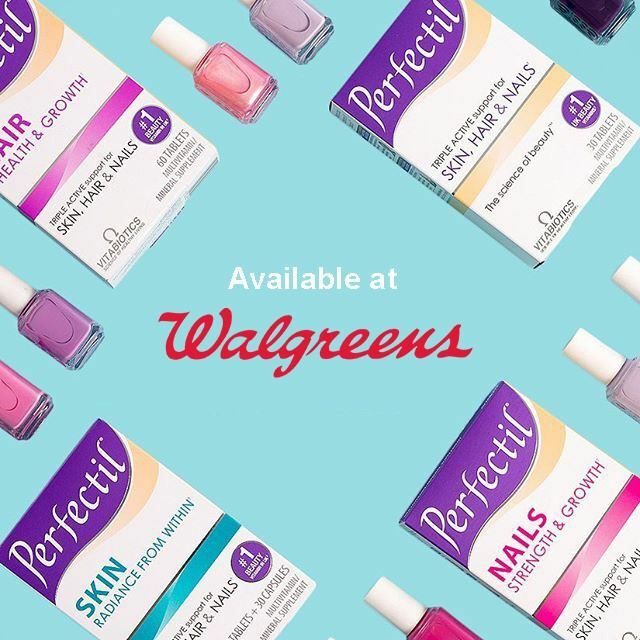 Generally, Perfectil Skin may be used alongside medication because it contains only moderate levels of vitamins and minerals, and it is free of any drugs or hormones. For specific advice on taking Perfectil Skin with medication, we recommend that you contact your doctor or pharmacist first. 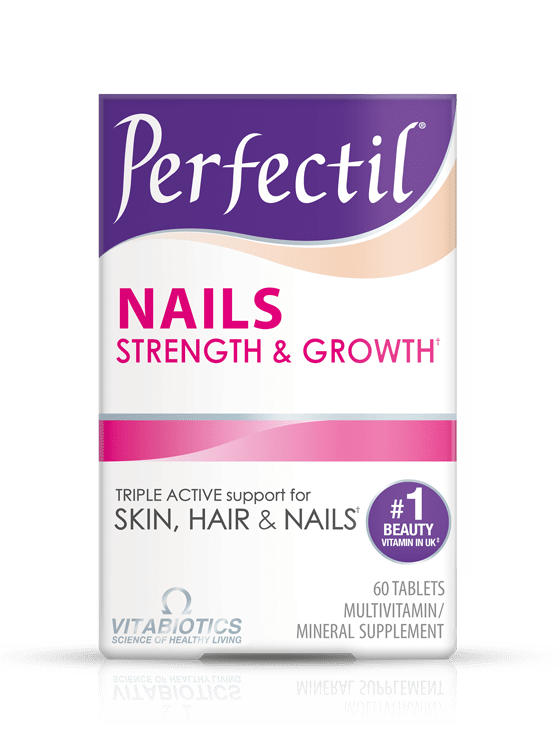 How many tablets does one pack of Perfectil Skin contain? Perfectil Skin contains 30 multivitamin tablets and 30 Nutri-Dermal™ capsules, which are each taken one per day. How and when should Perfectil Skin be used? One Perfectil tablet and one Nutri-Dermal™ capsule per day are recommended with your main meal. Swallow with water or a cold drink. Taking Perfectil Skin with a large meal maximises the absorption of the nutrients, and can reduce nausea, which is sometimes experienced if multivitamins are taken on an empty stomach. Always ensure that Perfectil Skin is taken with plenty of liquid to assist the tablet and capsule down, and not a hot drink as this may cause them to disintegrate too early. What happens if I forget to take my Perfectil Skin and miss a day? A regular intake is recommended, which is why the blister pack is day marked, but don’t worry, missing one will not have done any harm. Simply take Perfectil Skin on the next day when you remember, and take as directed. You should not take more than the recommended amount on subsequent days to make up for any day/s that you have missed. Whilst it is important to take a supplement every day, if you miss one day this is fine because the beneficial effects of the vitamins and minerals build over time. Difficulty in swallowing tablets and capsules is quite a common experience. Vitabiotics have researched this extensively and recommend after chewing some food (e.g. banana), just before you swallow, pop the tablet or capsule into your mouth and swallow it together with the chewed food, followed by some liquid. The throat opens up wider to swallow the chewed food and so the tablet and capsule should go down with greater ease. Alternatively, the tablets and capsules may be swallowed with thicker liquids such as yoghurts or smoothies. Are there any undesired effects whilst taking Perfectil Skin? Perfectil Skin has no known side effects when taken as directed. Do not exceed the recommended tablet and capsule intake. In case of overdose, seek medical advice immediately. 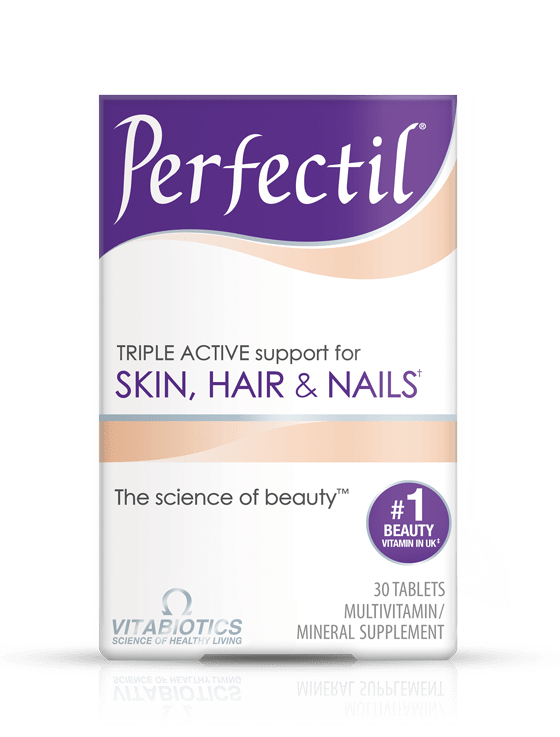 Results vary amongst individuals, but in most cases we would expect the beneficial effects of the vitamins, minerals and nutrients in Perfectil Plus Skin to build over several weeks, with noticeable results in one to three months. A regular intake is recommended. There is no maximum length of time over which Perfectil Plus Skin may be used. Is Perfectil Skin suitable for vegetarians? Perfectil Skin is not suitable for vegetarians as it contains fish oil in a pharmaceutical gelatin (bovine source) capsule. Adults can obtain DHA and EPA indirectly through the conversion of the essential fatty acid alpha-linolenic acid (ALA), present in vegetable oils such as linseed but this process is very inefficient. Perfectil Skin contains fish oil as it provides a much more reliable, direct source of DHA & EPA. Some Daily Value (DV) levels are above 100%, is this safe? 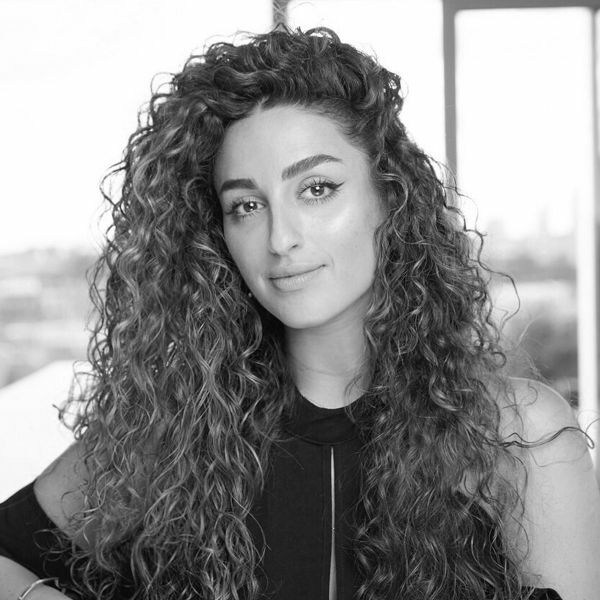 "The key to your perfect makeup base is a healthy complexion. Perfectil Skin's wide range of nutrients provides just the support you need."